According to quigig.com, as a freelancer, you should show more, tell less. This is a rule applicable in so many areas and in so many situations that we might call the statement an axiom. Potential customers are more attracted to your profile and gain more confidence if they can see at least the work done by you up until now: maybe a relevant portfolio, maybe a few articles written on your personal blog or for other publications, reviews from other clients – it all helps your profile to be selected from hundreds and thousands of other freelancers applying for the same job. 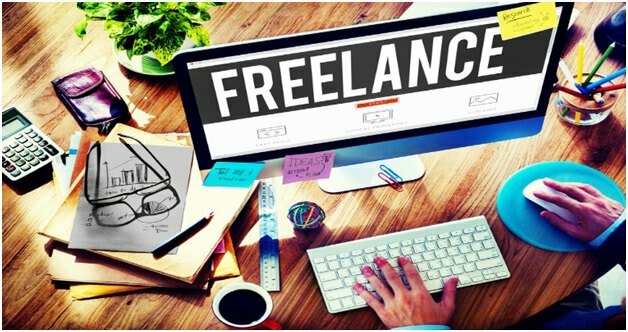 Top freelancers have understood the importance of an impeccable profile, and do not accept certain jobs that do not follow what they know to do better, not worrying about the score in the reviews. The next tip is to focus your energy. The temptation to do everything you know is great. If you are in the beginning or if you are going through a heavier financial period, you can think that a larger range of services will bring you more customers. It probably will bring you more customers, but not all will be right for your business, because you will not be able to provide an equally good service in all areas. Surely you know how to do more. But you’re really good at just one or two things. There you should focus your long-term efforts. Read more here. Be amazing at some things not random at a lot of things. Have a focus! Another common mistake is that we just do our part and pass on the relay, because it’s not our job. That it is not written in the contract. Even if we could and should even give us a contribution beyond the job description. Do other stuff and bill for it – sounds good but it cannot always be applied, because we cannot get to the … bill for it. Not everyone is willing to pay for an additional service or to recognize its value. Not everyone can afford to pay an additional service. And then, you limit yourself, you do not bring that plus value that sometimes you can only bring. The idea here is to keep an open mind. Feel the customer, offer service and value. If your effort is not appreciated financially, it will definitely help create a long-term relationship with that customer. It is important to show that you are involved beyond a strict relationship based on the terms of a contract. Hire better people and manage less -a piece of advice I have heard recently. There is always the temptation and even the strategy to hire people completely unprepared for a certain job, in the idea that you will pay less, they learn and somewhere balance things. However, the time you invest in the micro-management of such an employee, the detail in which you have to check out the simplest tasks, makes you understand that you actually lose more money than you can earn. You lose the money you could have done while you were micro-managing. Not to mention that, during that time, you do the job altogether and something besides!